There is a good reason why two UN resolutions explicitly recognized the right to safe and clean drinking water and sanitation as an independent human right in 2010, and there is also a good reason why the World Water Day has been celebrated every year since 22. March 1993. The violation of the right to water not only leads to profound sorrow and complications for the individuals, but can also result in the violation of other human rights. 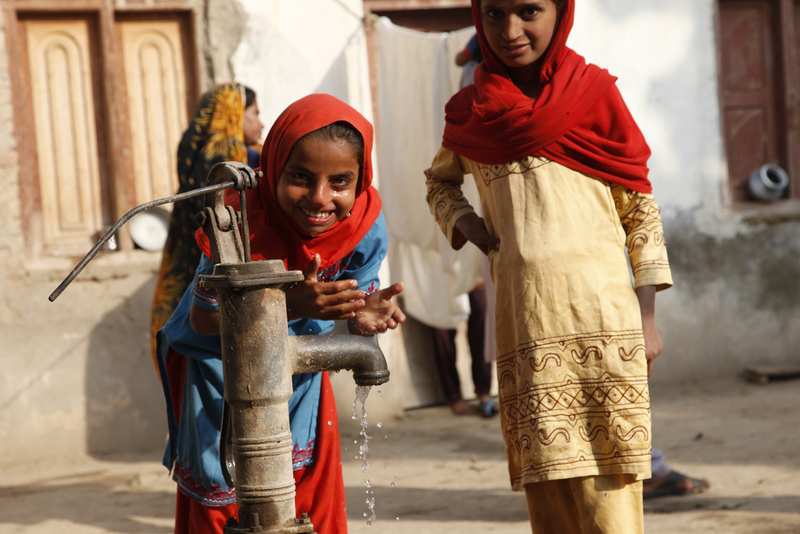 In 8 out of 10 households with no water, women and girls are responsible for water collection. This not only leads to a strong physical burden but also results in more limited time for education. Furthermore, the lack of safe, separate and private sanitation and washing facilities in schools is one of the main reasons that prevent girls from attending school, especially during menstruation. Therefore, the unfulfilled human right to safe water also leads to the violation of the human right to education, particularly of girls. In addition, more than 700 children under five years of age die every day from diarrhea linked to unsafe water and poor sanitation and around 88% of diarrhea cases in general are related to unsafe water, inadequate sanitation or insufficient hygiene. In these cases, not only the human right to water is violated but also the right to an adequate standard of living for the health and well-being. Attention should also be paid to the cases where due to a violation of other human rights the right to save water is threatened, for example for cases in which people exercise their right to asylum. Unfortunately, this can lead to a violation of their right to water due to poor sanitation and inadequate access to save water in first admissions Especially at times when many people are fleeing, for example during the year 2015 when over 1 Million people sought for protection in the EU, first admissions are often overcrowded makeshift camps with an insufficient infrastructure for nutrition, health and water. Despite the huge challenges to be faced concerning the implementation of the right to water, there has been good news as well. In many of the areas where water scarcity prevails and the water supply depends on resources to which several states have access, states primarily solve these challenges by agreements and not through violent conflicts. However, unfortunately, 700 million people could still be forced to move because of intense water scarcity by 2030. People who are marginalized or ignored suffer the most in these cases. That is why this year’s World Water Day, as well as the Sustainable Development Goals in general, focus on “leaving no one behind”. Because of these close interconnections of the rights to safe and clean drinking water with other human rights, the UN Water Members and Partners invest more and more in ensuring that everyone no matter where they live, which gender they have, whether they are rich or poor, healthy or sick and whatever individual traits they have, has access to save drinking water and to sufficient sanitation. Furthermore, they celebrate the World Water Day every year to draw public attention to these highly relevant topics. But not only the UN and the Sustainable Development Goals have a special focus on the very important issues related to water. The Centre on Law & Social Transformation has since 2017 been working on a water-rights project funded by the Research Council of Norway. Our project “Elevating water rights to human rights: Has it strengthened marginalized peoples’ claim for water?” analyses the effects of the UN 2010 resolutions and explores how they have affected social movements and legal approaches to the right to water. This entry was posted in Elevating water rights to human rights: Has it strengthened marginalized peoples' claim for water?, Natural resources & climate lawfare on March 21, 2019 by AnnaG.